Crystal Cruises honored more than 100 of its top-selling travel agents during a five-night gala sailing aboard Crystal Serenity between London and Lisbon this past week. The luxury cruise line, which features the 922-passenger Crystal Symphony and 1,070-passenger Crystal Serenity, also took the opportunity to update those agents on a number of initiatives it has implemented over the past year as well as plans for the future. One of the things that Crystal did not announce, however, was long rumored plans for a third ship. Edie Rodriquez, Crystal’s new president—she joined the line only last fall—said the company envisioned a product with seven ships for seven continents. But she did not announce a newbuild as some agents had hoped the company would during the gala, thought she admitted there is nothing more she would like than to have another ship to introduce. On the other hand, Crystal did unveil a slew of new programs designed to enhance the guest experience, from culinary changes to new shore excursions, pre- and post-programs, entertainment, technology and other initiatives, as well as new programs specifically to help agents sell its cruises. First up, Crystal has introduced a new menu concept for its Crystal Dining Room, the main restaurant on both ships, featuring both “modern” and classic cuisine. The “modern” side of the menu features food prepared using molecular cooking techniques and technologies. The focus on is meals with enhanced flavors and taste, artful presentation, and high-tech cooking devices that employ the latest in food sciences. But guests can also mix and match the “modern” cuisine with more traditional and popular choices from Crystal’s classic menu. The new menus in the Crystal Dining Room come just months after the line introduced a completely new dining venue, Tastes, on its pool deck in what had formerly been an indoor pool area on the pool deck. That restaurant, open for light breakfast, lunch and dinner, features a tapa-like array of international cuisine inspired by Sapphire Laguna Restaurant in Laguna Beach, Calif.
On Crystal Serenity, the new restaurant also has three “living” walls of plants and olive trees as décor. Crystal also offers two other specialty restaurants, Prego, featuring Italian cuisine, and Silk Road, offering meals designed by Nobu Matsuhisa. Beyond cuisine, Crystal also is working to attract a younger demographic with more active programs, including a new “Site Run” jogging adventure series, set to debut in April, which takes guests on runs through such places as St. Petersburg, Russia; Greenock, Scotland’s Loch Lomond; Bar Harbor, Maine’s Acadia National Park; and Auckland’s Mt. Eden volcano. These runs, designed to last between 5 and 10 kilometers, incorporate fitness into the sightseeing experience. In September, Crystal also is introducing a new outdoor gym on Crystal Symphony’s Promenade Deck, allowing guests to work out by the sea and intersperse jogging or laps around the deck for increased interval training. On the itinerary front, Crystal is introducing its destinations and World Cruises even earlier than usual, allowing agents to get brochure information on sailings and pricing this May for cruises in 2016 and the first quarter of 2017. New for 2016 is a return to Alaska, a Hawaii round-trip sailing, and a new Berlin and London experience as part of a Baltic cruise. 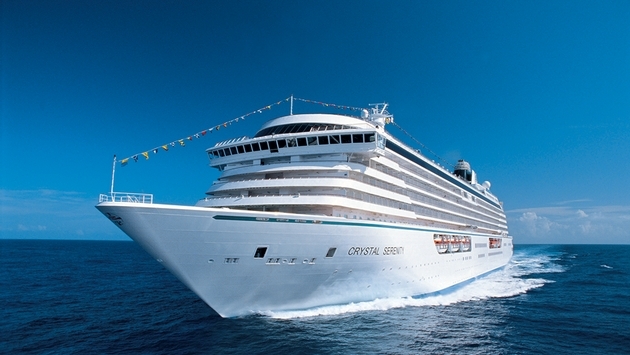 Crystal also will return with new sailings out of New Orleans round-trip and to Fort Lauderdale. Crystal also will return to celebrate New Year’s Eve in Sydney for 2016, including an exclusive viewing of fireworks from a point right near Sydney Harbour Bridge. There’s also a new 21-day round-trip Sydney sailing featuring an Outback experience and stops in Fiji. A new World Cruise offering in 2017 will include Antarctica and South America in a round-trip sailing out of Miami. While another Grand Cruise will sail from Melbourne to Tokyo. 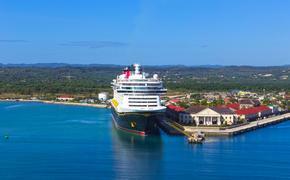 Crystal also is expanding its pre- and post-cruise programs with a new series of Extended Land Programs in 2014 and 2015. These programs, commissionable at 5 percent to travel agents, take guests to such iconic destinations as Cappadocia, Turkey; Iguazu Falls, Brazil; Angkor Wat, Cambodia; Ayers Rock, Australia; the Panama Canal; Tibet and Xian, China; as well as a new program that includes Montreal, Toronto and Niagara Falls in Canada. In addition, Crystal is debuting a new post-cruise program beginning on July 8, 2015’s Chairman’s and Crystal Society cruise, that will feature Highclere Castle, site of PBS’ “Downton Abbey,” along with a visit to Bampton, the village depicted in the TV series. Guests will receive chauffeured transportation in vintage 1920s automobiles and a champagne reception. On the entertainment and activities side, Crystal this May is introducing a new production show, “6/8 Café,” which features music and dance from the 1960s and 1980s. In addition, the line now features new classes in knitting for beginners to experts, adding to its extensive educational offerings from its Computers@Sea and USC Digital Filmmaking courses, among other programs. For families, the line also is introducing extended babysitting services at night beginning this summer. In addition, a new personalized entertainment and news content program is now available for guests’ smart phones, tablets and laptops, including Crystal lectures on demand, movies, E-newspapers, Crystal’s onboard Reflections daily newsletter, Crystal Adventures bookings on shore excursions, and a guest feedback survey that communicates directly to the line’s president, executive vice president of operations and ship hotel director. The system is currently offered on a trial basis on Crystal Serenity through July and the line expects it to be on both of its ships this fall. Crystal also is introducing a new blog by travel writer Don George focused on insights and news about the line, its staff and the destinations it offers. On the travel agent front, Crystal has updated its Cruise Builder travel agent booking engine to provide an expert mode that will allow agents to book in 90 seconds or less. The system also no longer requires a guest name or other information to research or get a quote for a cruise, has an easier advanced search function and provides more pier arrival and departure information. Agents also can now book Crystal Getaways shorter cruise programs and get a more detailed stateroom availability list. Crystal’s Priority Check-in and Planning Center (PCPC) now offers agents the capability to book Crystal Adventures shore excursions upon deposit. Agents also can provide guests’ emergency “en route” contact information so the line can communicate with them in case of emergency or port or pier changes. In addition, dinner reservations can now be made in advance for Crystal Serenity’s Tastes restaurant. On CrystalCruises.com, flash elements have been deleted from the Guidebook section pages, allowing for easier navigation and mobile compatibility. New print options in the Guidebook section and voyage/itinerary pages and tabs allow agents to better customize the information they print. A “Book Now” scrolling deadline alert is now featured in Live Views on the website and a new blog button provides a shortcut to the new blog. Crystal in May expects to introduce a new air booking search engine where agents can choose the best flights and fares for their clients with the benefits of Crystal’s flight protection, airport transfers and less expensive fares starting 10 months prior to the sailing. The line also offers a new Crystal Key ID code for each code to better protect privacy when booking group specialty dining reservations and applying for Share the Experience benefits.